If you are planning on getting a pet rabbit, you will need a place for it to live. If you are handy with woodworking, you may want to save money and build your own rabbit hutch. Otherwise, you will need to look for a hutch that is large enough for your rabbit and that will be suited for the area in which you plan to keep it. 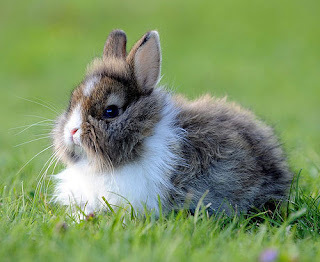 You should always make sure your rabbit has fresh, clean water and food available, and it is also important to interact with your pet to keep it from getting bored. If you plan on keeping your rabbit outdoors, you will want to find an area that is out of direct sunlight. Rabbits cannot withstand extreme heat, so it is important that they have a cool place to stay. The hutch should have a roof to protect the rabbit from the elements, as well as to provide shade. Some rabbits hutches are made of wire, and others are mostly outdoor-grade plywood. If the sides of the hutch are wire, you may want to provide the rabbit with an additional wooden box. This will allow it to have added insulation from the weather, or provide a comfortable place for it to sleep. It is also important for outdoor rabbits to be protected from predators. Just seeing animals too near the cage can cause a rabbit a great deal of stress, and they can even die from fright. Keeping the hutch off the ground and making sure it is sturdy can be helpful. A rabbit hutch with a wire floor can be easier to clean than one with a smooth floor. In either case, you should clean your rabbit hutch daily. Otherwise, bacteria can build up from the animal’s waste and cause illness or contaminate the food supply. Wire floors allow waste material to fall down to the area below, or to a tray, which can be removed for easy cleaning. If your rabbit lives outdoors, you should make a point of interacting with it daily. This will keep your rabbit used to human interaction, which will make it a more enjoyable pet to keep. Rabbits can be affectionate and fun to play with and keep as pets. To keep your rabbit from getting bored, you should play with it or provide it with toys and chews. Toys that are safe for rabbits can be found in pet shops. You can even try to walk your rabbit, but this is best done with a special rabbit harness, not a collar, and some rabbits won't like it. If you have some extra space in your yard, you may want to construct a rabbit pen. This can be done with chicken wire. You should dig down several inches to bury part of the wire, since rabbits like to dig. It also needs to be high enough so the rabbit can’t jump over it. This can allow your rabbit some daily exercise and play time. Getting an appropriate rabbit hutch is important for the health and safety of your rabbit, but you should also make sure to interact with your rabbit often. Keeping your rabbit hutch clean and providing fresh water and food is also important for your pet. Tom Woodcock is a Pet Lover, pet product expert and builder of rabbit hutches. To learn more about Rabbit Hutches and Rabbit Runs. Visit him online.